Smartphone, tablet computer and ultrabook purchases number in the hundreds of millions per year. 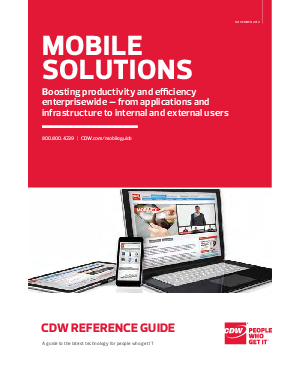 This onslaught of devices underscores the move to mobility in many organizations. Organizations have embraced mobility - first approaches, starting with their users and working back from devices to wireless strategies, network infrastructures and data centers. Read this white paper to learn more about building an end to end mobile strategy. And about starting with a holistic approach to mobility to yield benefits and savings.